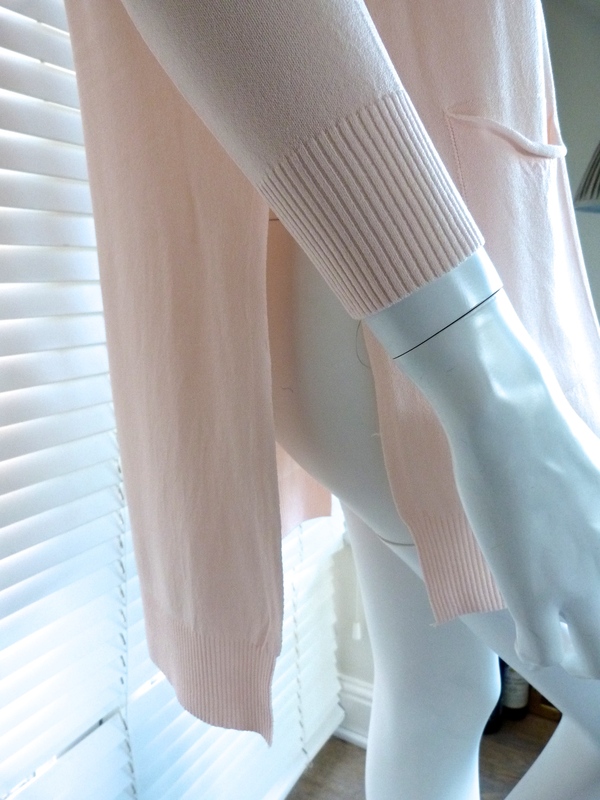 This is an incredibly wearable lightweight and elegant knitted top from a viscose mix yarn. 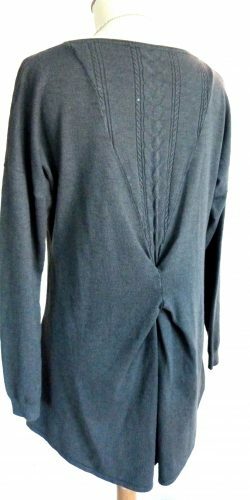 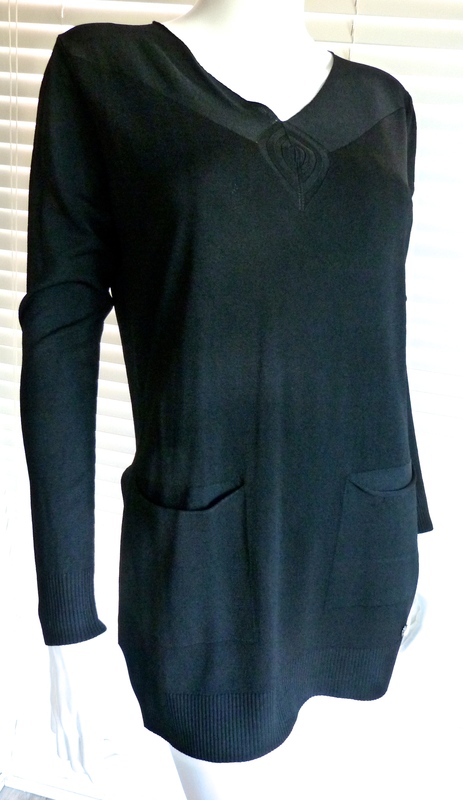 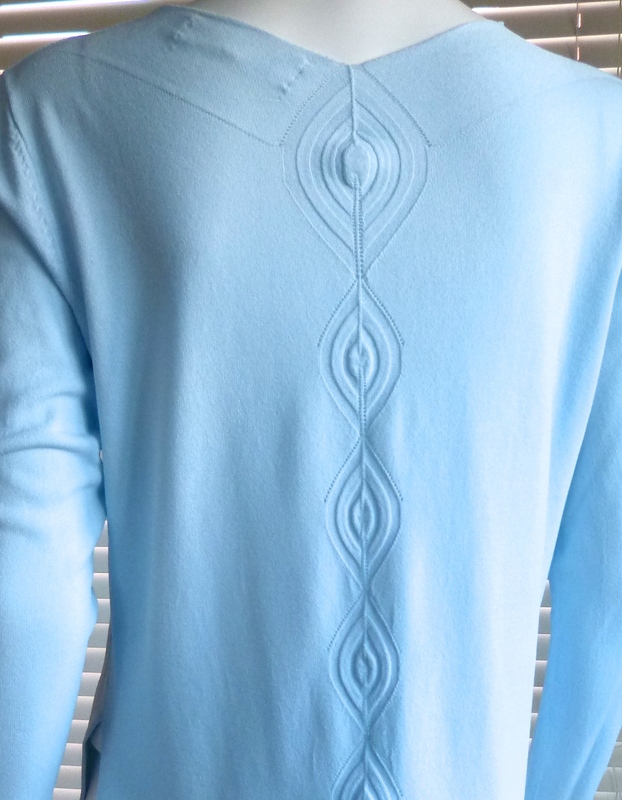 The top has a high V neck with a small cable design set just at the V. The knit has long sleeves and 2 pockets adorn the knit towards the bottom of the front panel. 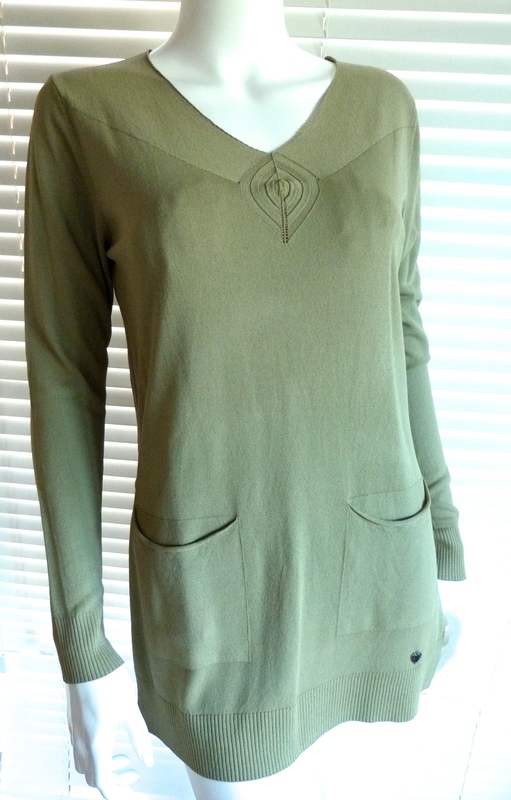 2 side slits to help elongate the figure. 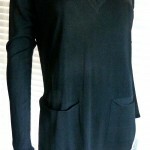 Stunning cable style detail at the centre back. 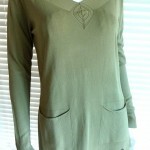 Perfect for smaller figures this is such an elegant wear!